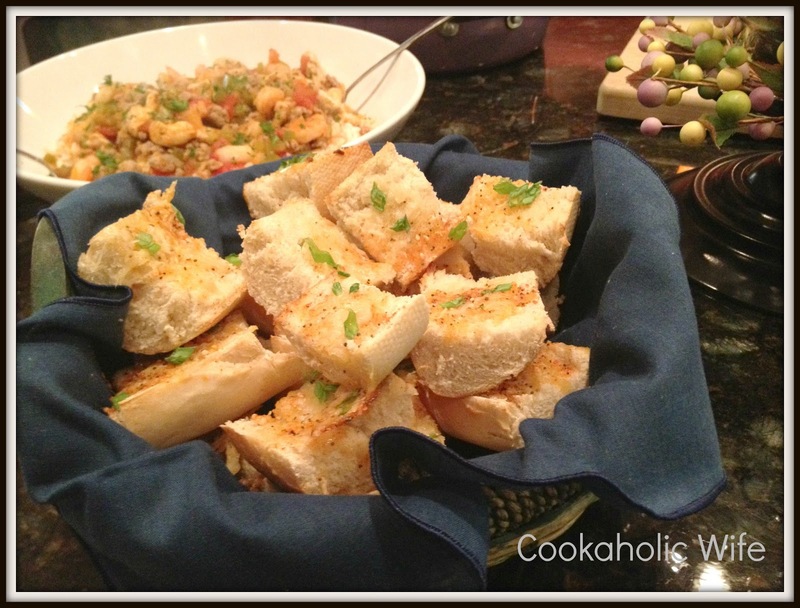 After my aunt, cousin and I agreed that the jambalaya recipe absolutely needed to be made, I noticed that fat bread was served along with the jambalaya. I can’t say I’d ever heard of fat bread before, but I was instantly sold when I saw that it included Salad Supreme. Many, many moons ago when I was just a kid, I remember being at the grocery store with my father and picking up a jar of this seasoning. I think my father was trying to eat healthier and thought adding flavor to a salad with something like this might really help him out. It didn’t take long until I was shaking the Salad Supreme over more than just a salad.While its definitely good over a salad, my favorite way to enjoy this seasoning is on top of a baked potato. I also don’t feel complete dipping baby carrots into Ranch dressing as a snack unless there is some Salad Supreme mixed into the Ranch. Anyway, I wouldn’t have thought to add Salad Supreme to bread, but I was more than ready to try it out. 1. Preheat oven to broil. Line a baking sheet with foil. 2. Slice the bread lengthwise and then into 1-2″ pieces. Spread the butter over the pieces, then sprinkle with the garlic powder and onions, Top each piece of bread with a pinch of both cheeses. 3. Broil for 1-2 minutes or until lightly browned and the cheese has melted. Sprinkle the Salad Supreme over the bread and serve. This has got to be one of the easiest side dishes ever but it is JUST. SO. GOOD! I could not control my hand from continually reaching to the plate of bread. I’m guessing its called fat bread because you want to eat so much of it that you’ll get fat. LOVE fat bread! And I love that you knew where to find salad supreme.